Stripping and painting furniture is really not that difficult. It just takes time and patience. The later is difficult for me as I know the result I am looking for and am eager to get to it! 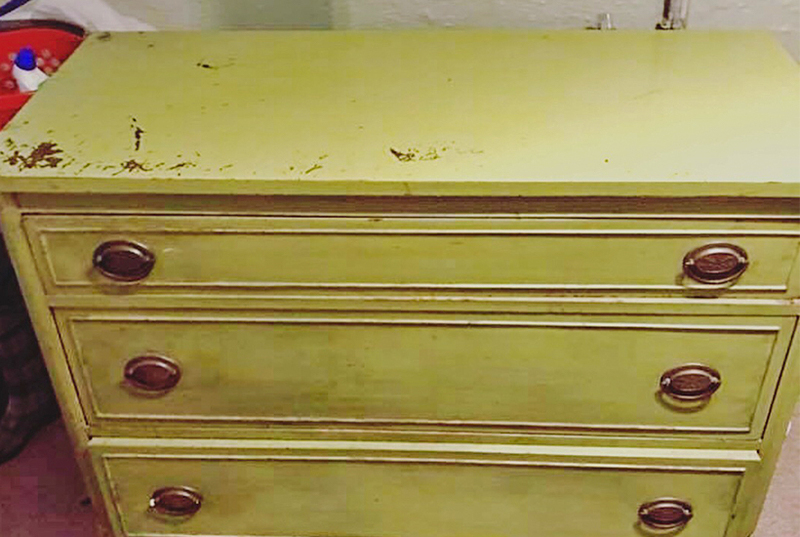 I bought this dresser sight unseen except for the photo below from Facebook Market Place. I got it for $50 and my husband helped me pick it up! 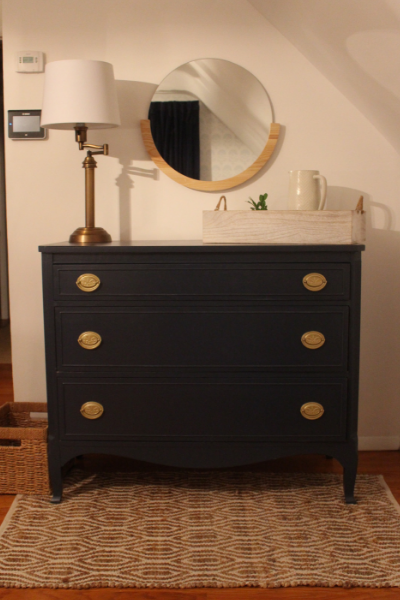 It has great lines and my intention was to strip it and let it have a natural light wood look for my personal master bedroom renovation (click HERE too the full project). 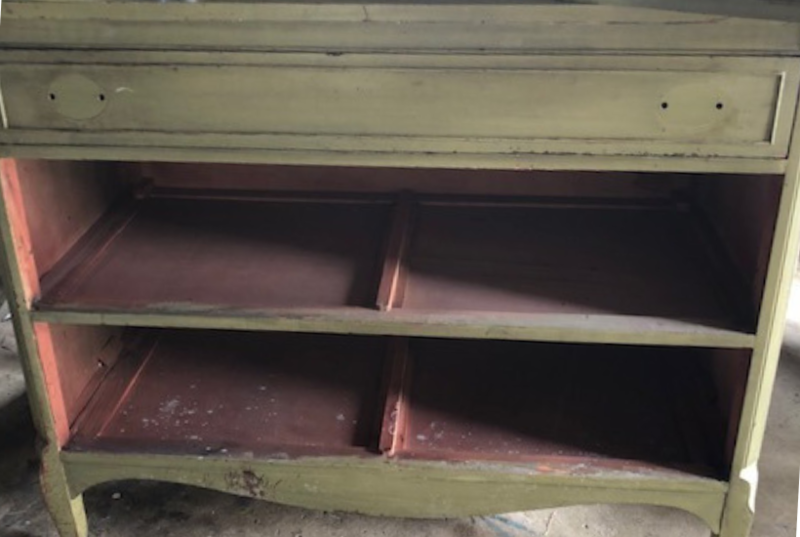 However, upon stripping the thick layer of pea soup green paint of this cedar wood dresser, I decided to paint it. Under the paint I uncovered different stain colors. So painting became the choice for me on this piece and I’m so thankful I went that direction. 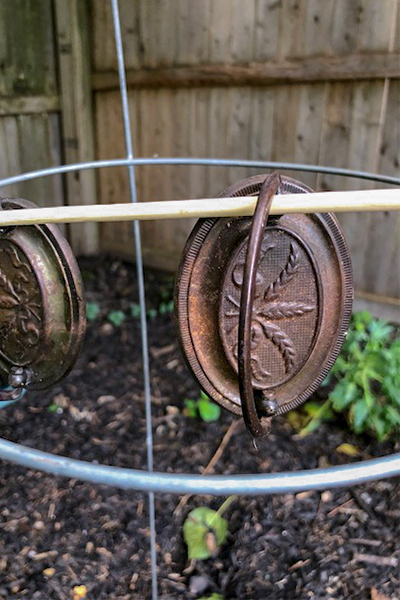 Start by removing all hardware from your piece of furniture. 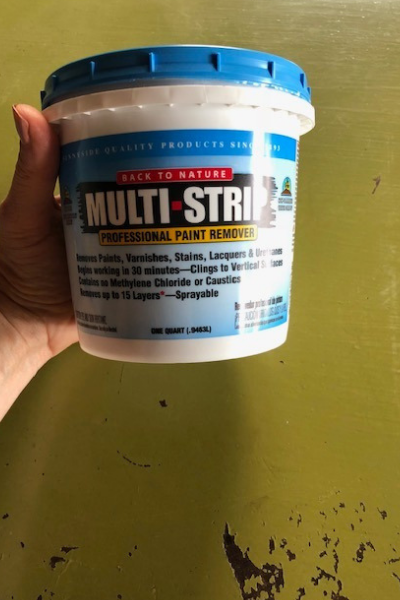 Next slather on a stripper, I started with this Multi-Strip product I got at my local paint store. It was super pricey and I ran out. I ended up at my local small hardware store and got some Orange stripper that smelled way better and was a lot less expensive. Both worked about the same I’d say. I applied it with a rag but I would probably recommend using a thick foam roller for more even coverage. Although I’m not sure it really matters, the goal is to just glob it on in an thick layer. Then you just sit back and watch it do it’s thing. I will say, stripping furniture isn’t that difficult but it is super messy! Like gross messy. I did this in our garage and next time I will most likely do the same over a super cheap tarp and then just throw the whole thing away. The stripper does eat through plastic so just be careful of where and what you use to protect your floor. I also used gloves while doing this and doubled up on them and it still ate away at them. Blah! 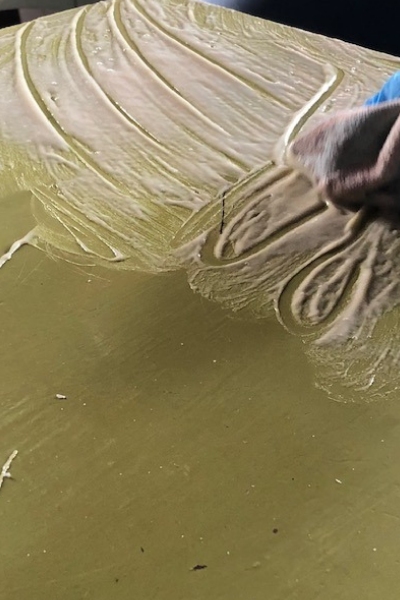 After the stripper does its thing for 30 or more minutes, take a plastic flat scraper and run it gently over the wood to remove all the goop – it’s like the stripper turns the paint back into liquid. So lots and lots of paper towels and rags, to sop up the mess are required. After that I used a wrung out rag in clean water to remove any left over residue from the furniture. 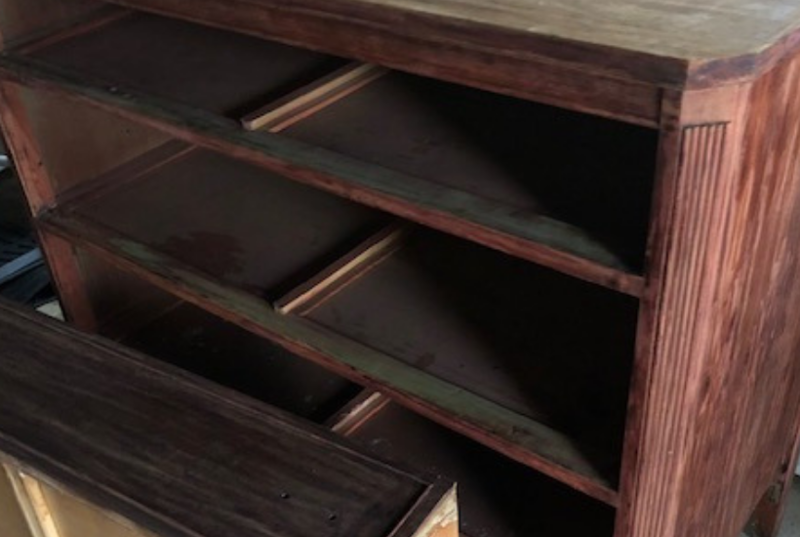 As you can see, the drawers seemed to have a different color stain from the rest of the piece of furniture. 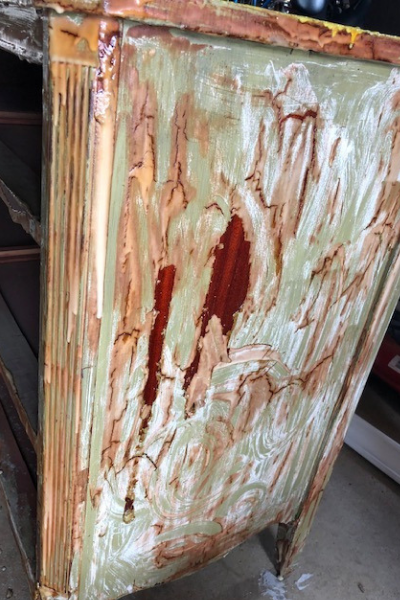 I wasn’t sure if it was a different type of wood, stains or both but decided paint was the way to go. (to see a stripped piece with a wood finish click HERE) This made the decision easy for me, stripping and painting it would be! Lightly sand any rough patches with a super fine grit sandpaper. Then use a clean soft cloth with some mineral spirits to clean all the dust and any debris off before you start painting your stripped piece of furniture. 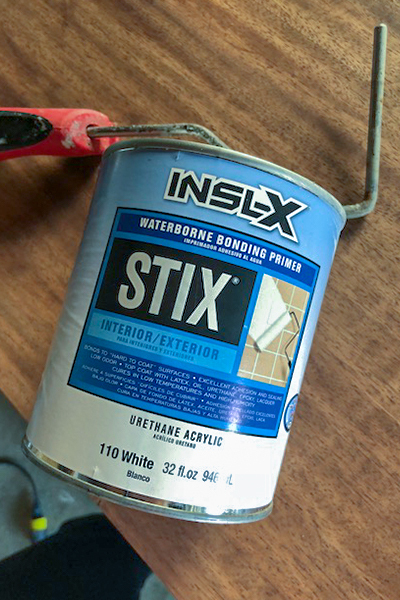 I use STIX primer whenever I paint anything that had a previous finish of any kind on it. It basically STIX to any finish. If you know from the start you want to paint a piece that already has paint on it, you can just prime it with this and then paint it. I’ve used this multiple times while stripping and painting furniture and it never disappoints. This piece had a lot of damage to the paint so I would have stripped it anyway to get the smoothest finish. After the primer I applied a few coats of Benjamin Moore’s ADVANCE paint in a semi-gloss finish. You can get that paint tinted to any color you’d like. How to spray paint: light long continuous strokes, multiple layers. My art teacher in high school taught me how to spray paint and I am forever thankful. Short little bursts will get you uneven coverage and drips, lots of drips that you don’t want! After everything is completely dry, you can put the drawers back in and attach your hardware. See, stripping and painting furniture isn’t that hard after all! 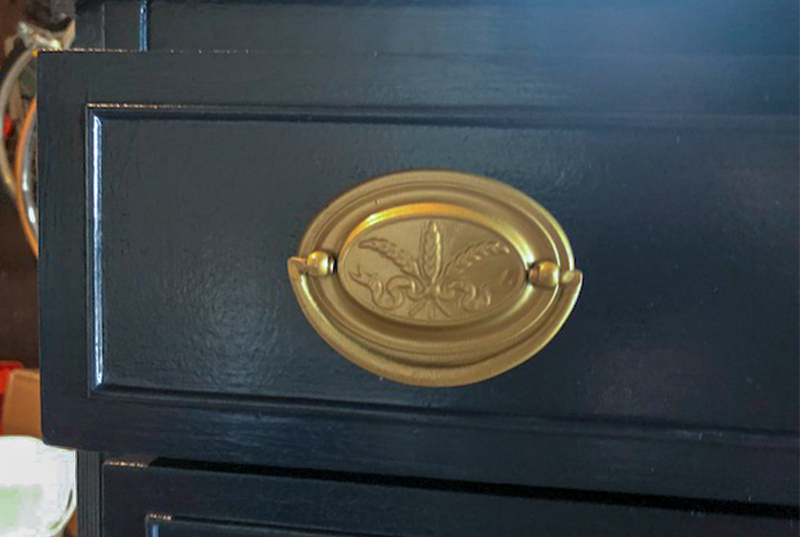 If the piece of furniture is old and has a musty smell to it, like this one did, fill a spray bottle with white vinegar and evenly spray the inside of the piece of furniture along with the inside and outside of the drawers. You can see in the one photo above the little bit of mold in the bottom of the dresser. The vinegar kills all that and keeps it from returning. My clothes does not smell musty at all! 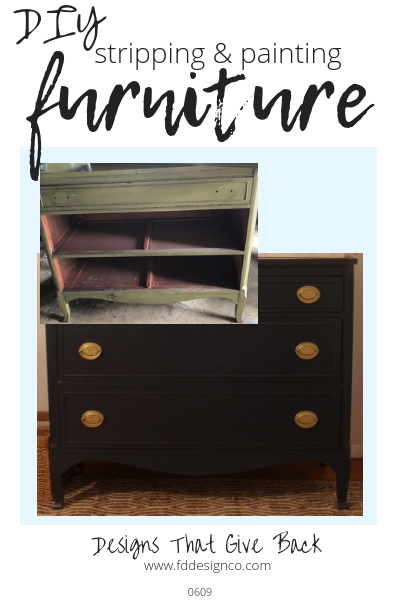 Would you consider stripping and painting furniture? Have you done it before and have a trick or tip to add? I want to hear from you – leave your comments below! Having trouble deciding on furniture style? Color? Placement? 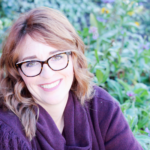 Let’s chat…I offer a free 15 minute phone chat to help direct you, just click the link below! Ohhhh! Nicely done! I love the classic hardware.